Social casino games are evolving and their popularity is soaring, particularly among mobile users. This may come as a surprise to some, especially considering the objective of these games is not to bet or win real money. In fact, the majority of these games are for entertainment purposes only. Yet, even though no real money gambling is involved, this isn’t negatively impacting gaming. On the contrary, the player demographic is broad and is expected to get broader. The most popular type of entertainment in the social casino market is slots. Traditionally, the demographic to whom these games have appealed to the most, in the U.S. market, are females over the age of 40. However, this isn’t the same throughout the world. In Italy, for instance, young males tend to make up the most social slot gamers. For the most part, players simply find the social gaming experience engaging and entertaining. They are not driven by the typical gambling thrill of risking money to feed their desire to win more; they play to have a good time in a relaxed environment without fearing what they might lose. The average casino game player is more of a gamer than a gambler. Players like to play to win virtual currency, but mostly they seem interested in progressing through the game to win. Since this type of gaming isn’t about players dropping their actual money into slots or on bets at the card table, gambling operators who want to tap into the gaming market to increase their reach, need to follow an entirely different strategy if they want to make money from social games. The money made from social games comes from offering players features within the games. For instance, weekly leaderboards and challenges that enable players to earn prizes and collect rewards, as well as extra virtual currency and goods that let players unlock desirable features, provide incentive to play. For example, using social media network giant, Facebook, as an example, 53% of Facebook users engage in social gaming, with the top five games in the social casino market on Facebook being TexasHoldEm Poker, Slotomania, DoubleDown Casino, Best Casino, and Bingo Blitz. According to TNW News, collectively, these games draw in well over 11 million users a day. 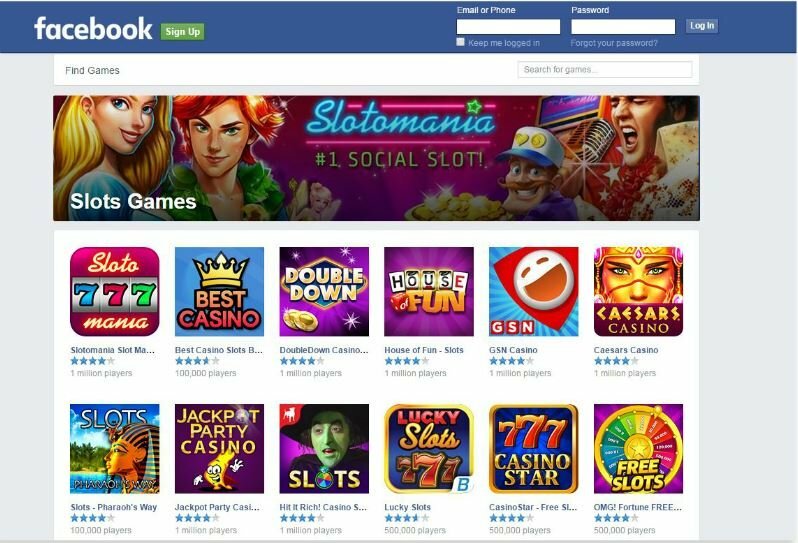 With an entire section dedicated to casino games, Facebook is one of the big reasons for social gambling climb. Back in 2011, Facebook officially launched its Facebook Credits, its virtual currency that allows gamers to buy goods in games and in apps. This enabled gambling firms to launch free-to-play or fun money casino apps with their original brands in the United Kingdom. Later that same year, the social network gave gambling firms permission to advertise on Facebook. Approximately 20% of Facebook gamers have paid for in-game perks via Facebook credits. This percentage may not seem overly significant, but like the more known casino promotions that encouraging deposits for social game monetization, virtual goods sales are its bread and butter. Due to the fact that the top social casino games attract 290 million active players per month on just Facebook, it’s clear that this type of gaming has both massive appeal and reach. Therefore, more gambling operators and software developers are showing interest in the growing market, as a broader reach generates more interest and the potential for more money. IGT is one such company in the gambling industry to have successfully tapped into the social games space. Its DoubleDown Casino now provides Vegas-style games to over six million players each month. It provides a complete casino experience in a single virtual place. It offers more than 40 social casino slots and tournaments, as well as video poker, poker and poker tournaments, blackjack, roulette, bingo, and more, with new games and content added weekly. These games are available via Facebook, as well as on mobile. Double Down Casino has more then 6 million visitors each month. IGT’s social gaming solution is the world’s largest free-to-play social casino and is the top ranking app on Facebook. It delivers new player experiences and game-changing content. It has been designed to help extend the reach of casino operators, enabling them to broaden their market. 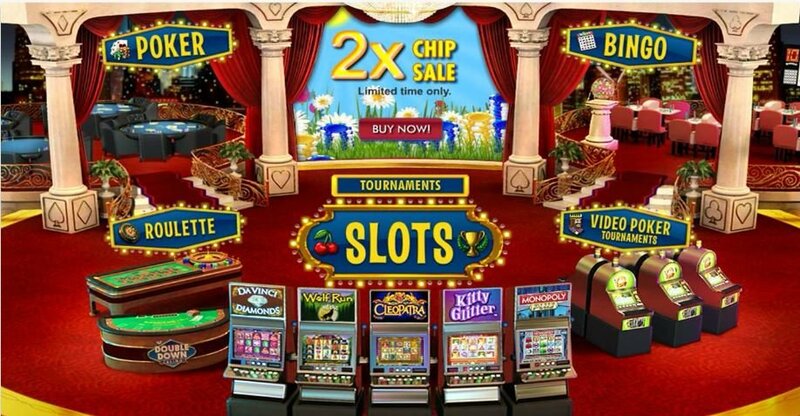 Operators can connect with their players outside their establishment as players enjoy their favorite casino games online for free, while they are surrounded by the operator’s website. Connecting with social gamers is a great way to encourage guests to come into the operator’s actual casino and play. Aside from IGT, the top publishers in the social casino industry at the iOS App Store and Google Play, according to a 2014 report from Distimo, include: Williams Interactive , Buffalo Studios, BitRhymes, Double Down Interactive, Zynga, Big Fish Games, and Playtika. While these game publishers did not gross as much as developers of other social mobile games, like GungHo, Supercell, and King, game developers still have a notable presence among the top 100 grossing apps in the App Store and Google Play. Interestingly, Distimo discovered that the seven top social gaming publishers listed above generated more revenue in Apple’s App Store then Google Play. For instance, while Williams Interactive and Buffalo Studios both made 43% of their revenue share on Google Play, Big Fish Games only made 16% of its total revenue share on Google Play. This data was collected from March 17 to March 23, 2014. Not restricted and set on accessible platforms, Social casinos are one of the more popular downloads on App Store and Google Play. Playtika, the creator of the famous Slotomania, was the top publisher in the App Store and was also number one on Distimo’s leaderboard for Google Play. Playtika is one of several top social gaming publishers of social games that have been acquired by game manufacturers and casino operators. Currently, it is owned by Caesars Interactive Entertainment, which is a subsidiary of Caesars Entertainment Corporation. In addition to Playtika, Caesars has also bought Pacific Studios and Buffalo Studios, as well as the right to the World Series of Poker mobile app from Electronic Arts. While the popularity of social casino gaming is expected to rise, so is the revenue for this particular multi-billion dollar industry. In 2014, Adam Krejcik, an Eilers Research gaming analyst, estimated that the evolving sector would exceed $2.7 billion in revenue, and he was right. At the end of 2014, it reached $2.8 billion and by the end of this year, it is expected to be worth $3 billion. It’s clear that the social gaming future is only going to become stronger and developers of these games will need to work harder than those who develop real-money online casino games in order to keep players engaged and happy. This will require continual evolution and innovation.